Describe a time in your life where you faced an unrecoverable event. How did it affect you and what were your greatest learnings? On your 75th birthday someone close to you presents your laudatio (tribute). It can be a friend, colleague, family member etc. Please describe in detail what this person would say about you and your life. 1. What is your career goal : right after IMD / in 5 years / in 10 years ? 2. In order to reach your goals, what do you foresee as your top 3 challenges? Is there any additional information that is critical for the Admissions Committee to know which has not been covered elsewhere in this application? Your responses to these questions will not be taken into consideration in the admissions process. 1. 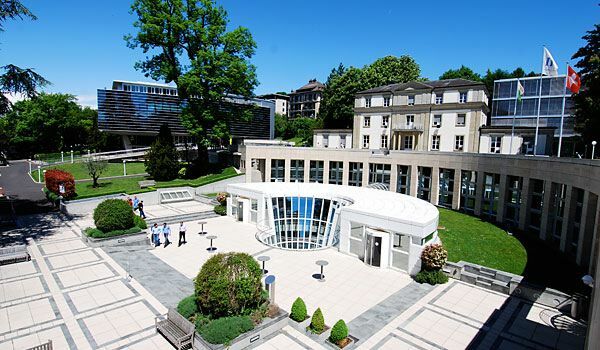 How do you intend to finance your MBA at IMD? What would your budget be? 2. What other programs are you considering? Of the programs you are considering, what can IMD bring to you as a differentiator? 2. What do you consider to be the applicant’s top three strengths (feel free to use the “skills” on the grid below as guidance)? 3. Describe the applicant’s role in your organization. What has his/her single most important contribution been to the organization? 4. In terms of future leadership potential for a senior management position in your company, what role would you consider the applicant to play in 10 years’ time if he or she were still employed with your company? 5. What do you consider to be the applicant’s weaknesses or opportunities for improvement? 6. Please give us your appraisal of the applicant in terms of the qualities listed below. Rate the applicant in comparison with other persons of his/her age whom you consider to have a clear potential for leadership in management. 7. Teamwork is very important in the IMD MBA. Can you give an example that shows the team skills of the applicant? 8. Based on your interaction with the applicant, how would you describe his/her ability to deal with ambiguity? Please give a concrete example if possible. 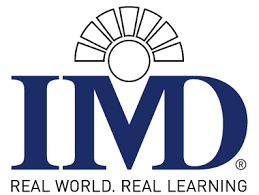 At Ivy, our MBA admissions consultants can help you get accepted to IMD. As a very non-traditional candidate for one of the leading MBA study- abroad programs and as an applicant for a seat on a very small and selective program such as IMD, I needed all the help I could get – and Ivy MBA Consulting made the difference between success and failure. The Ivy team provided a real support group that gave me confidence in my own ability, pointed the way and never let me lose sight of the details, motivated and pushed me when required, and did it all with of the caring touch of people who have been there and know what you’re going through. You have succeeded in a short time and in the most challenging environment (five weeks in which I plowed three continents), helping me build a high-level application while providing a sympathetic ear and an open-minded approach to the entire process. At every step in the process I felt real commitment from all the staff, and I sensed a real desire for my success. Our relationship went far beyond that of a customer and a service provider – the personal care was truly unique, sincere and meaningful for me, something that fits my work style and made me reach my full potential.